The Food and Beverage Development Fund provides financial support of between $1,000 and $10,000 per successful applicant to further skills and knowledge through training and education within SA’s food and beverage industries. Registered Nurses, Midwives and Enrolled Nurses are invited to apply for a Scholarship or Grant to further their career and enhance their professional development. The Nurses’ Memorial Foundation of SA Limited offers: The Dr Roger Wurm Scholarship and The Nurses’ Memorial Foundation SA Ltd Research Grant. 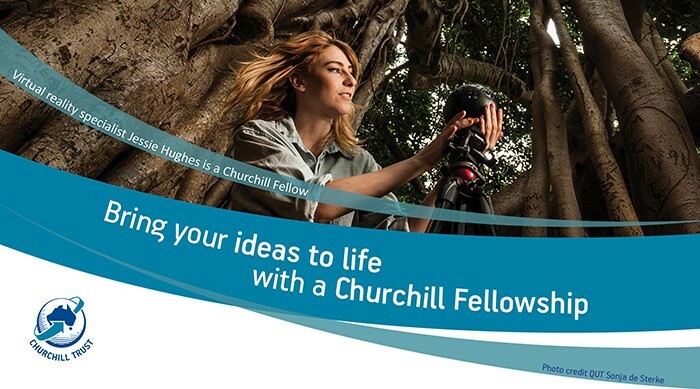 The Winston Churchill Memorial Trust is offering talented Australians the opportunity to investigate issues overseas that are of importance to all parts of Australia, including rural and regional Australia. Recipients are provided the opportunity to network with like-minded people, access expertise from around the world, and expand their knowledge and experience for the benefit of Australian society. Worth an average of $27,000, each Fellowship allows the recipient to meet with, observe and learn from their international peers and global experts anywhere in the world, and to establish valuable networks. Horticulture Innovation Australia is offering a scholarship of $8,000 per student to build capacity in people in the horticultural industry to ensure the development of leaders for the industry in the future. The Rural and Regional Enterprise Scholarships Program (RRESP) has been introduced to improve access to and completion of STEM (Science, Technology, Engineering and Mathematics) tertiary education courses for students from regional and remote areas in Australia. The Scholarship payments will assist the recipient with the financial costs of attending their institution and undertaking their Eligible Course of Study and Internships. a further $500 to support an internship.